Have you ever stopped to think what it would take to sell yourself something? I mean to call you during dinner and really have your beliefs changed about a product or a service and get you to stop eating and invest your hard-earned money. Do you have what it takes to sell yourself? When I look in the mirror (not literally), and think about selling to myself, I learn quite a bit. I’m a hard sell. I’m typically immune to being approached by salespeople in general, and especially bad ones. And yes, I am a sales person by profession. Because of this, I take the art of selling very seriously, and I have a passion for helping salespeople transform into sales professionals. I also am very quick to recognize and reward good salesmanship. I have rookies, amateurs, and time termites approach me every day, trying to pitch or persuade me. Very few succeed. 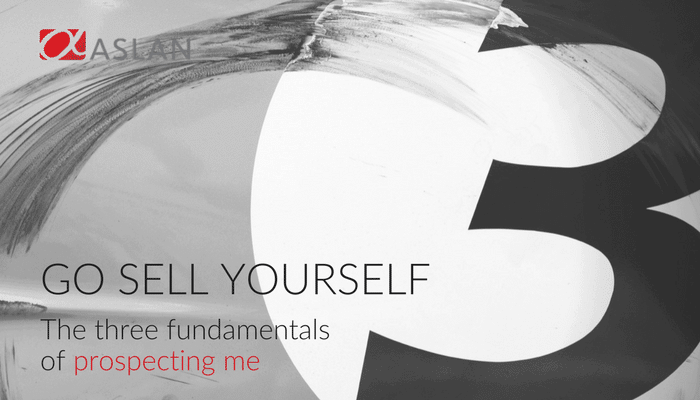 So, if I look in the mirror to selling me, what are the fundamentals to gaining access to me? If 90 percent of decision makers don’t respond to cold calls, only one percent of sales voicemails are returned, and less than 25 percent of sales emails are even opened, we had better learn how to warm things up. The hard truth is that most people are emotionally closed to being sold, and all the features, benefits, and data in the world won’t change this. Somehow, we have to find a way to get them receptive. The first way to do this is to prove that you know and understand the person you are approaching, and what is on their whiteboard. In other words — do your homework. Research means do everything you can to gain insight and get beyond the obvious. Tools like ZoomInfo, Hoovers, and LinkedIn Navigator provide a wealth of organizational information, but that’s not enough to capture the interest of most executives. If you want my attention, you need to understand our world and the challenges we face. Talk to some people in our organization or talk with our clients and other solution providers. Do everything you can to understand my situation before you ask for my time. Now that you have proven that you have done your research and you know what is important to me and my role, what do you do with it? Tell me something I don’t know. Most executives have a general quest for knowledge when it comes to business effectiveness and getting a competitive advantage. You need to expand my knowledge by enlightening me and sharing something that may help me with my whiteboard of wants. Pique my interest by making me think you know something that I don’t. If you just want to pick my brain with your list of favorite qualifying questions and pick-up lines, don’t bother. This genie won’t grant general Discovery call wishes. If you get through the first two gates unscathed, you now own some prime real estate. You have outdriven the competition. So now what? It’s time to make it pay off. 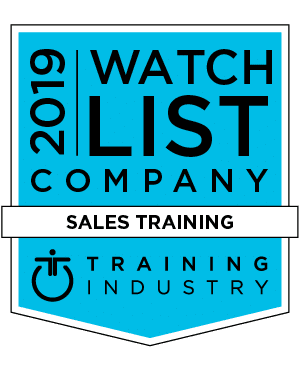 This is where you get one chance to showcase what makes you and your solution different from every other sales rep that has died trying to make this ascent. Don’t blow it by borrowing the same universal features and benefits you used on the last call. Get proprietary. Take everything you learned from fundamental #1, integrate it into fundamental #2, and make it all come alive with something that is all your own. Showcasing how you and your solution are different will grant you access to a floor in the elevator that most won’t find. Arriving at this point and then spitting out something that is just like everyone else is false advertising. To try it or not is up to you. If you have something you think we can’t live without, try this approach and see if it works. If you do try it, let me know you read this blog post and took these concepts for a test drive, and I will offer you some additional free coaching on these fundamentals for your next call. So on your next two prospecting calls, try your current approach on one, and the three fundamentals on the other. See what works best. What’s the worst thing that can happen — someone decides to meet with you? Do you have the fundamentals to go sell yourself?